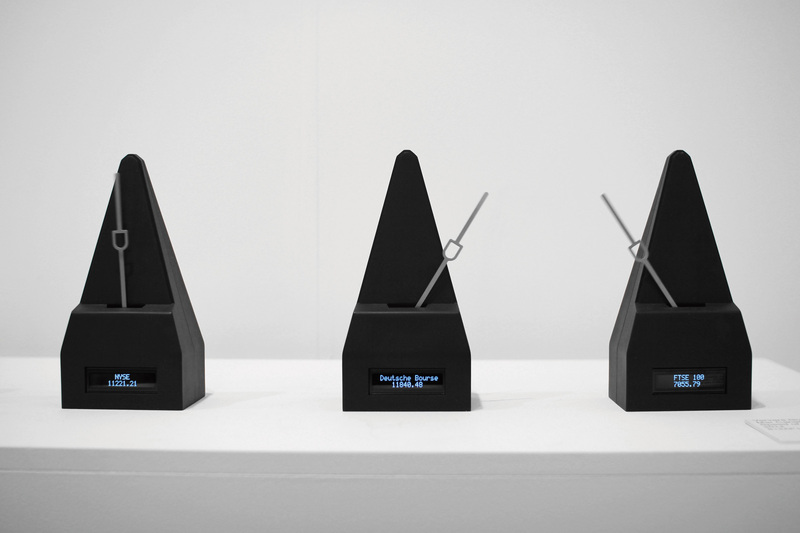 The aim of art installation is the visualization of stock markets’ volume in real-time. For us volume is an interesting figure to play with, since it is an indicator for a liquidity on the markets. Speed of Markets is very unique artwork in terms of material: it uses live financial data. 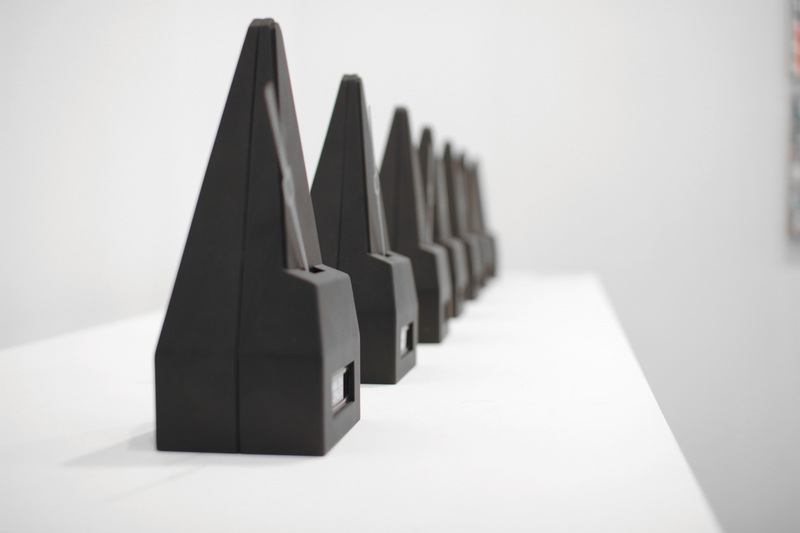 The art installation talks about volume of the stock markets. We are used to follow the price of shares and its’ change. However, this information does not tell everything. In the age of innovative financial models, trading with future contracts takes place. Hence, a market can be super busy, and at the same time, the prices of stocks very stable. It means, following just the price in a stock market does not give the whole picture of its’ activity. Therefore, we got an idea to use the volume data of stock markets to underline the actual situation and flux of the financial world. Speed of Markets makes use of big data of financial world that enables us to uncover the stock markets’ pace of life. Speed of Market is an art piece that points out an innovative and artistic way for applying stock market data as a score. At the same time, the data represents the activity of a stock market, because the score is composed by its real-time data. The goal is to metaphorically describe financial activity by extracting the stock market data and translating it into the rhythm of a physical metronome in real time. 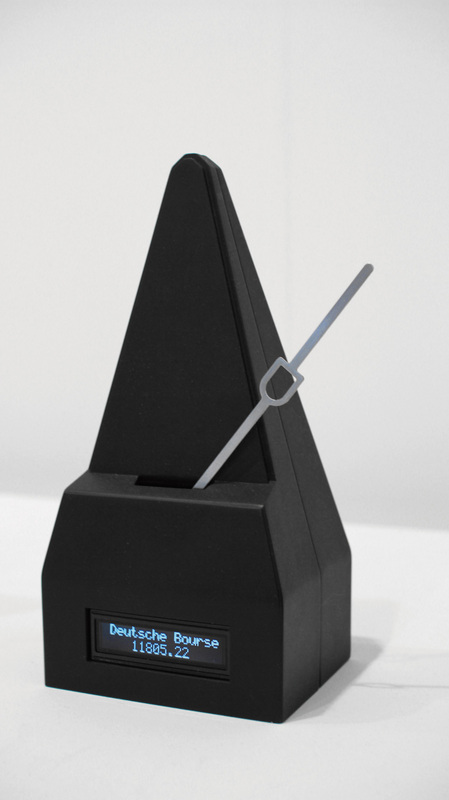 In short, a metronome represents a stock market and follows it rhythm in real-time. It means when there are no trading going on, like weekends, the metronomes are still. 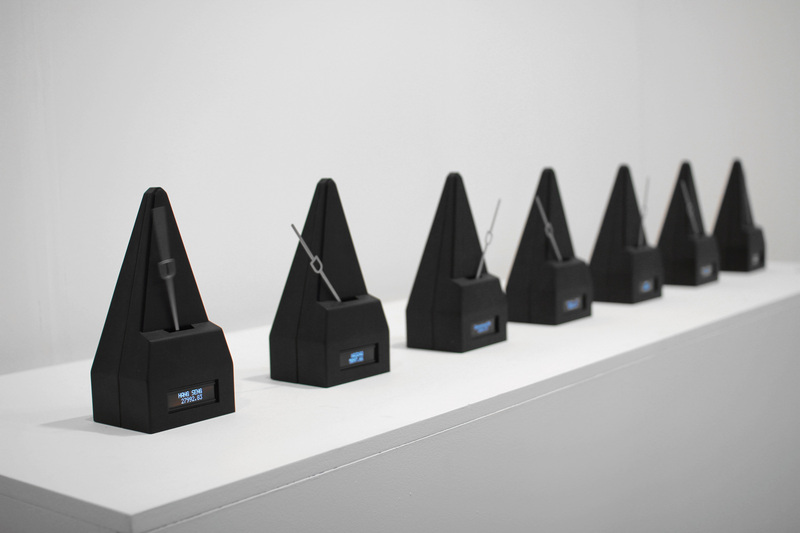 The installation consists of 7 custom-made metronomes whose rhythms correspond to the selected stock market’s volume: the bigger volume of a stock market, faster moves the metronome. The 7 markets are: NYSE, NASDAQ, JAPAN exchange group, Euronext, London Stock exchange, Hong Kong Exchange, and Deutsche Bourse. The audience is given a chance to discover and experience an alternative way of perceiving stock market’s data. Our concerns are about the malleability of the digital world to the physical one, and the interpretation of financial data for artistic purposes. The installation is a sonic and at the same time visual interface for perceiving the volume and also pace of life of different stock markets, which are normally described in numbers and graphs.